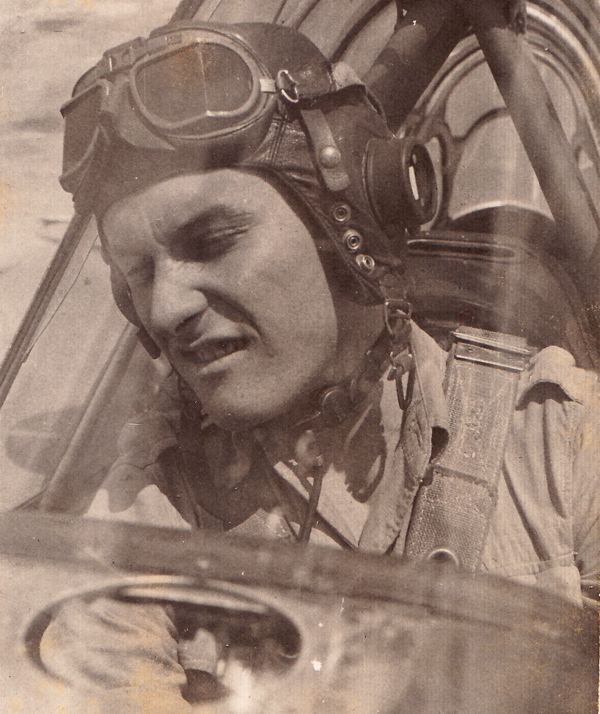 “I was born in Balmoral Castle and I grew up in Windsor Castle …” Tony Jack told me proudly without bragging, “… they were both pubs in Canning Town.” It was a suitably auspicious beginning for an East End hero who was barely out of his teens before he joined the RAF and sent this picture home inscribed, “To Mother, Myself in a rear cockpit of a Harvard with the sun in my eyes. 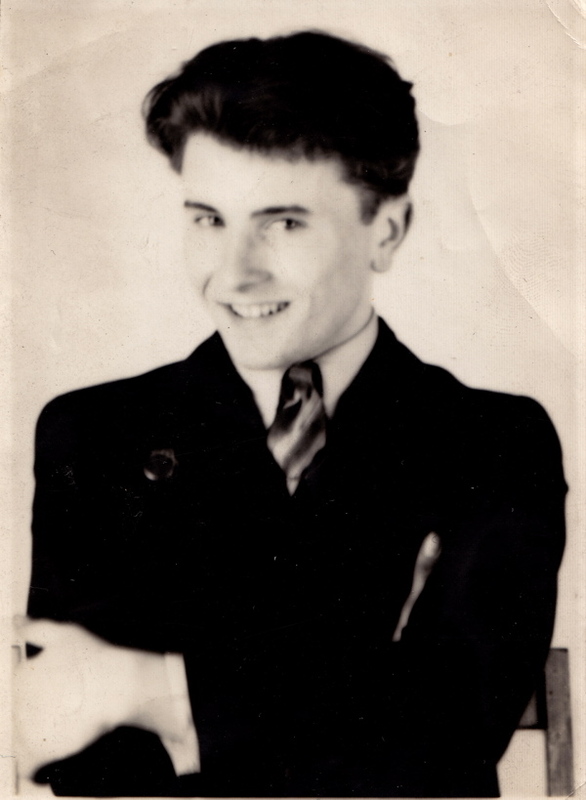 Love Tony.” Yet destiny had greater things in store for Tony, he was appointed to secret government work in Princes Risborough, where his sharp young eyes qualified him as an expert in photographic interpretation of aerial surveys, snooping on Jerry. If Tony spotted activity behind enemy lines, the information was relayed to our spies in the field who went to make a reconnaissance. From there, young Tony was transferred to work in the Cabinet War Rooms deep beneath Whitehall where he barely saw daylight for weeks on end, taking solace in rooms lit with ultraviolet to induce the sensation of sunlight. Tony was involved in developing photographs of the blitz and making maps, but at the culmination of hostilities he was brought the document that ended the war, to photograph it and make fifty copies. With his outstanding eye for detail, Tony noticed that the date had been altered in ink from 7th May to 8th May 1945, and, with the innocent audacity of youth, Tony tentatively asked Winston Churchill if he would prefer this aberration photographically removed. “The Americans wanted the war to end on one date and the Russians wanted it to end on another,” growled the great man to the impertinent young whippersnapper in triumph, “But I got my way, May 8th!” And thus the correction duly remained in place upon the historic document. When Tony told me these stories as we sat together drinking tea in Dino’s Cafe in Spitalfields this week, I did wonder how he could possibly follow these astounding life experiences when the war ended, but the answer was simple. Tony got a job as a chaffeur driving a Rolls Royce for the Truman Brewery in Brick Lane. 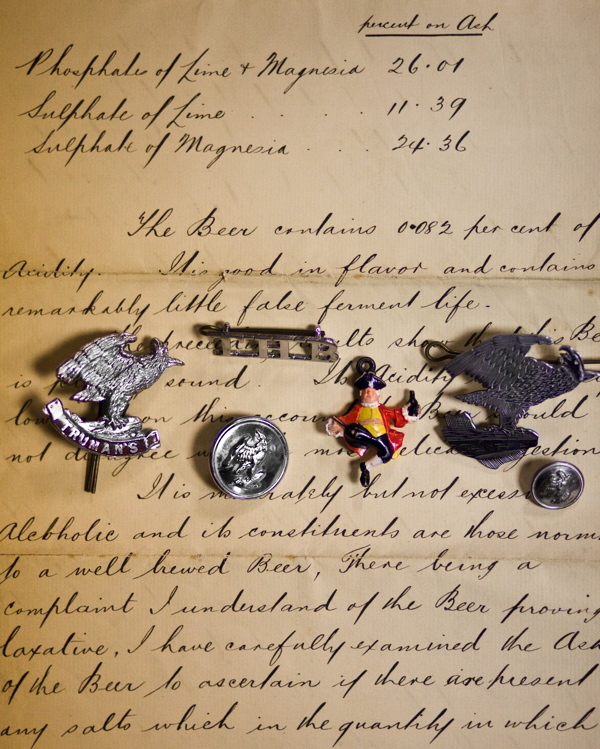 “You couldn’t wish to work in a better environment than a brewery,” admitted Tony in rhapsodic tones, as he opened a worn plastic bag to show us his cherished cap badge and buttons that he keeps to this day. And that was when Michael-George Hemus (who is responsible for bringing Truman’s Beer back to life with his business partner James Morgan) got excited, holding up the rare badge to the light and scrutinizing it in wonder. And then, caught in the emotion of the moment and experiencing a great flood of memories, Tony launched into a spontaneous eulogy about the brewery, which gained an elegaic lustre in the description. He told me the name of the head brewer was Gun Boat Smith. He told me the brewery had two black London taxis for visiting pubs incognito, registration numbers HYL55353 & 4. He told me there were two chefs in the canteen, one named Harry was a woodcarver who carved fancy work for churches and the other was a glass engraver who could put a painting into a glass and copy it onto the surface. He told me that John Henry Buxton asked “What regiment were you in?” and when Tony revealed he was in the RAF, declared, “Well, never mind!” He told me that a man called Cyclops was responsible for the “finings” which filtered the beer, as well as repairing the bottling girls’ clogs and distributing pints of beer to the delivery men in the mornings. He told me that the phone number of John Henry Buxton’s country home was Ware 2, a source of endless amusement when you asked the operator to connect you. He told me that the brewery staff manned the roof with buckets of water when the great Bishopsgate Goods Yard fire of 1964 sent burning cinders drifting into the sky. He told me that the brewery had its own customs officer because beer was taxed as it was brewed in those days. He told me that there was always a cooper on call night and day to make repairs, in case a barrel of beer split in a pub. He told me that the dray horses sometimes got out at night and wandered around which terrified him because they were magnificent creatures. He told me that there was priest who worked in the electrical shop who would marry employees. He told me that there was a man who was solely responsible for all the uniform badges and buttons, who was TGWU representative and also the Mayor of Bethnal Green. He told me that there was a rifle range below Brick Lane which still exists today and the cleaners refused to go there alone because there were so many rats. He told me that the shire horses were all sent to a retirement home in Long Melford. He told me that the brewery organised Sports Days and Beanos on alternating Summers. He told me that the Sports Days were held at Higham Park, Chingford, where they brought in circus acts to entertain the children. He told me that the Beanos were at Margate. He told me that they hired two trains from Liverpool St to get them there, and a paddle steamer to take them on a trip over to Folkestone and back for a sit down dinner at Dreamland. He told me that there was always plenty of beer on the train coming back. He told me that they were wonderful days out. He told me that Truman’s were unique in the sense that they were self-sufficient, you had no need to go outside. One day, Tony was candidly given advance notice by the chairman, while driving him the Rolls Royce, that the brewery was being sold to Grand Metropolitan and chauffeurs would no longer be required. So Tony switched to working as a security guard for many years. “I know every inch of the brewery,” he assured me authoritatively. Then in 1969, Tony became a cab driver which he continued to do until 2007. “I retired just before I was eighty. I was happy because I was driving around and it was all I wanted to do in life,” he confided to me with a lightness of tone, revealing endearing modesty and impressive stamina. All the astonishing details of Tony Jack’s vibrant description of life at the brewery were whirling in my mind as we crossed Commercial St and walked down Brushfield St together in the Autumn sunlight, before shaking hands in Bishopsgate. And then he hopped on a bus to Clerkenwell, where he lives, quite the most sprightly octogenarian I have met. It must be something in the beer. 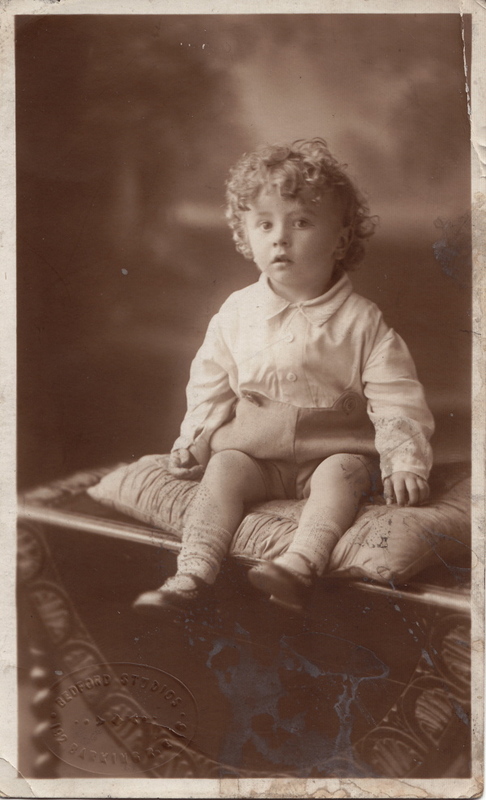 A studio portrait of Tony from the nineteen twenties. 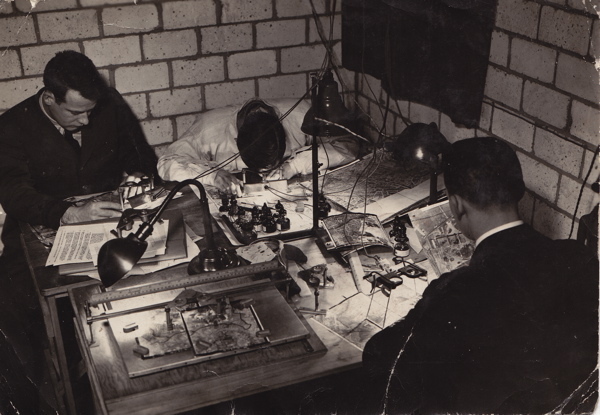 Tony is in the centre with his head down, working on a photographic interpretation of aerial surveys of enemy territory, as part of secret government programme in Princes Risborough during World War II. 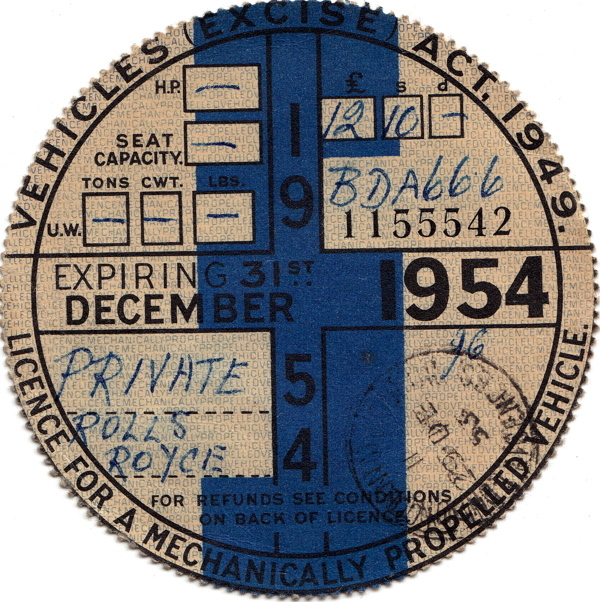 The tax disc of the Rolls Royce that Tony drove for the Truman Brewery in the nineteen fifties. 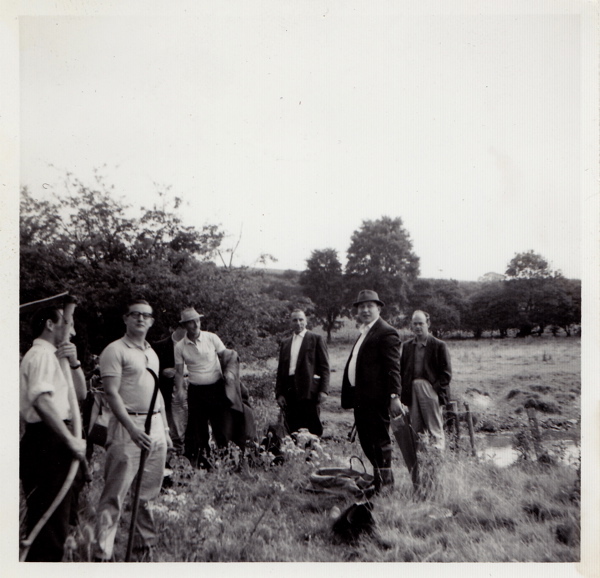 John Henry Buxton invited the members of the Brewery Angling Club to clear the weed out of the river at his estate at Wareside, Hertfordshire, in return for letting them fish in it. 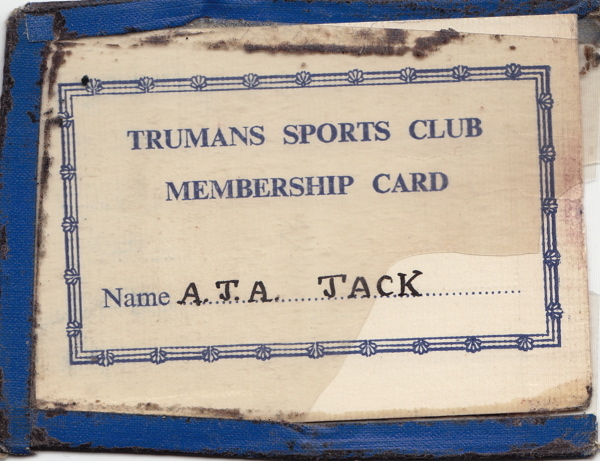 Tony’s membership card for the Truman Brewery Sports Club dated 1st March 1959. Tony photographed his daughter Janet on the roof after a Christmas party in the nineteen fifties. 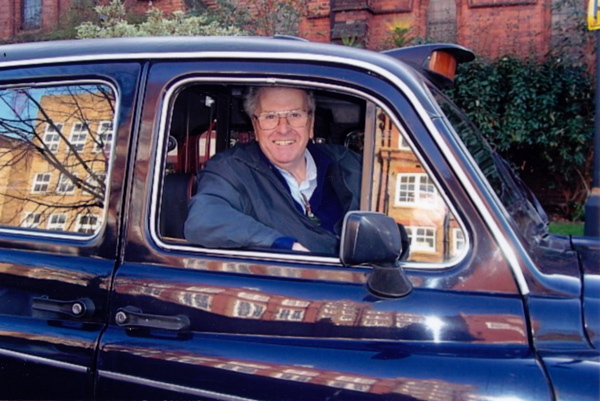 Tony’s last day as cab driver in 2007, he drove Janet up to the West End for a shopping trip. 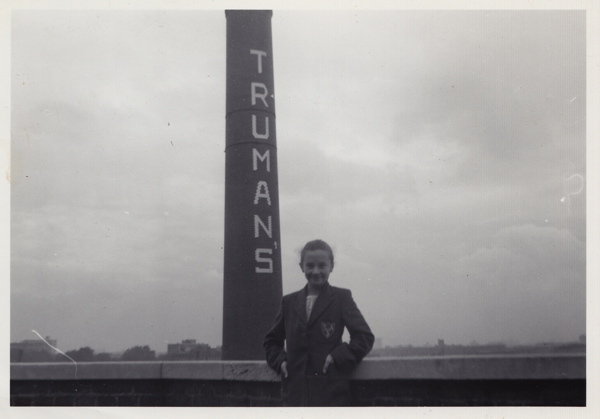 My gradnfather, Dennis Hawkridge, worked for Truman’s for many years. It was a very magical place, and every year they held an open-air party for the kids of staff members. It was like visiting Willy Wonka’s factory; with stalls and booths all over the inner courtyard; the drey horses in full display. You were treated like royalty. Those badges were all over our house, in drawers. I had loads of ‘Hoppy Ben’ badges as a kid, and would give them away freely to my mates. Now, if ever I’m back in London; in the Brick Lane area, I always walk past with a fond eye on the old place. Although I have to say that the ‘Hoxtonising’ of the whole area leaves me saddened, and somewhat disenfranchised. I’m not even a beer drinker and I’m now nostalgic for this brewery! Wow, what a fascinating story and life! Great to have found your blog. I learnt about Spitafields Life from Wikio who contacted me yesterday to preview (The London Foodie) the top 20 London Blogs (according to Wikio), and you have have been listed, I can see why, well done! The full ranking will be published tomorrow at Wikio, but you can have a peek here, apologies for the link but here it goes: (http://www.thelondonfoodie.co.uk/2010/11/sneaky-preview-of-top-20-london-blogs.html). 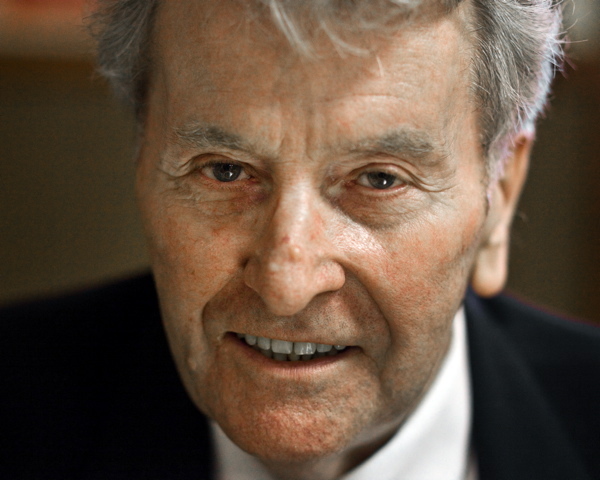 My father was Jim Herbert Senior Free Trade Rep. He joined Trumans in 1929 until he died in 1965 when he collapsed in the Brunswick Pub in The Old Kent Road. I wonder if you ever met him. Hi Christine, Yes I knew Charlie Williams, when he worked on the “Loading Bank” and if I remember correctly, his wife also worked at the Brewery at some time, and she was a regular visitor to many sporting events. I also knew ” Nobby ” Les Church very well, We used to go fishing together, and he was the best Coach Driver at the Brewery, and he was a member of all the other sports,i.e. Football, Cricket, and they bring back many happy memories to me. I would like to know are they still with us ?.Please let me know.Best Regards, Tony Jack. Your story of doing photo analysis at Princes Risborough seems to coincide with what my father did, as an American civilian brought there to assist with bomb damage analysis. Do you recall a Howard Finn? He grew a beard when he was there as he forgot his razor! Sorry I can’t ask him about you–he died in 1986.
during that time but left to join the RAF. 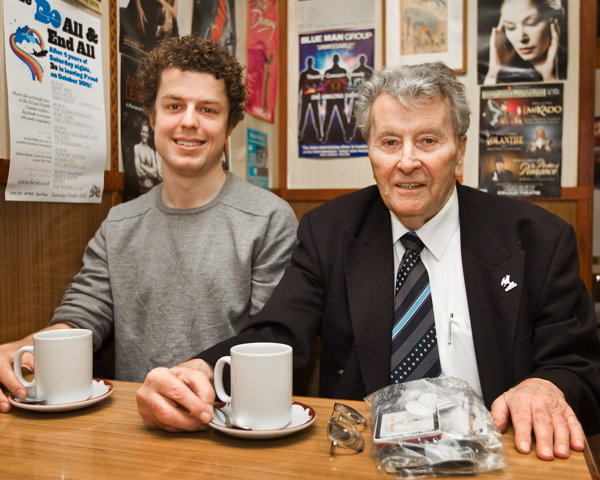 His father, Clem, also worked there as a Drayman. His uncle Bill Hipkin was a Clerk there also. My niece is anxious to know what the inscription is but my husband can’t help her as he was only 6 years old then. He thinks it was something to do with the Brewery and remembers his dad taking him to Hackney Marshes to watch football matches. Possibly London Brewers Athletic & Social Association?